UPDATE: according to the New London Day, despite the union's offer to unconditionally return to work without a contract tonight, L&M management refused to let workers return. The hospital maintains minimal operations using 125 scabs hired through a Florida temp agency that specializes in strikebreakers. According to the Day, management deactivated the badges of the strikers when the strike began and will not re-activate them until an agreement is reached. The union has charged the lock out is illegal and is seeking an injunction against management's actions. After yesterday's successful union rally outside the hospital, Lawrence & Memorial brass returned to the bargaining table to resume negotiations. For four hours. Westerly Hospital's new owners stepped away from the table saying they wanted to discuss and try to more fully understand the unions' position that they want job security - that when L&M transfers hospital jobs to one of its subsidiaries, the worker holding that job wants to follow the work. Click here to calculate your odds. Thousands of Rhode Island families are unable to meet their basic needs, including the daily necessity for food. According to the USDA, 15.4 percent of Rhode Island households are food insecure and at risk of hunger, which is the highest rate in New England. While there are some signs of economic recovery in Rhode Island, 50,000 adults remain out of work. And having a job is no guarantee of economic security. Workers at the bottom of the pay scale have seen their wages drop $1 an hour since 2006. As a result, many working families don’t earn enough to afford adequate food. Click here to read the Providence Journal's November 25, 2013 article on working families who are struggling to put food on the table. Will it make it all the way to Christmas? This will be the third year that Progressive Charlestown has monitored the health and well-being of the Gävle Goat (called “Gävlebocken” in Swedish). This enormous wood and straw goat has been erected in the town square of Gävle, Sweden since 1966, much the way that every year in Charlestown, Frank Glista erected a huge bonfire for Charlestown’s New Year’s Eve celebration. pay gap exists. Photo by Jim Bates via The Seattle Times. According to The Seattle Times, Hutchison also believes the pay cut blatantly goes against equal work for equal pay, and invoked the war on women in a memo she sent to her colleagues about the issue. 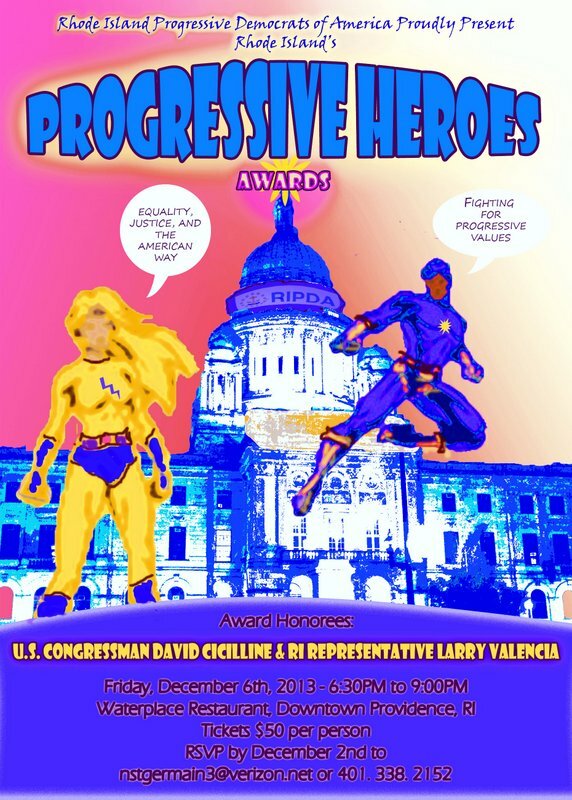 Recently Mark Gray and Bob Plain were discussing the word “progressive” (while discussing Sam Howard’s piece here) and neither seemed sure of how to define the term. Bob took a stab at it saying it had something to do with supporting “bottom up” Keynesian economics and later suggesting that progressives should seek to the greatest amount of good for the greatest amount of people. Mark seemed to indicate that the term was essentially meaningless and suggested the word “liberal” be reclaimed. As a Humanist, I found this exchange interesting, because at its core, Humanism is a progressive philosophy of life based in reason, compassion, optimism and action. 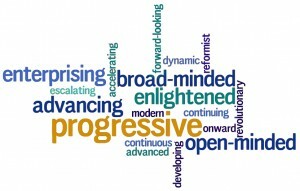 The term “progressive” is at the core of my beliefs in a very basic way. 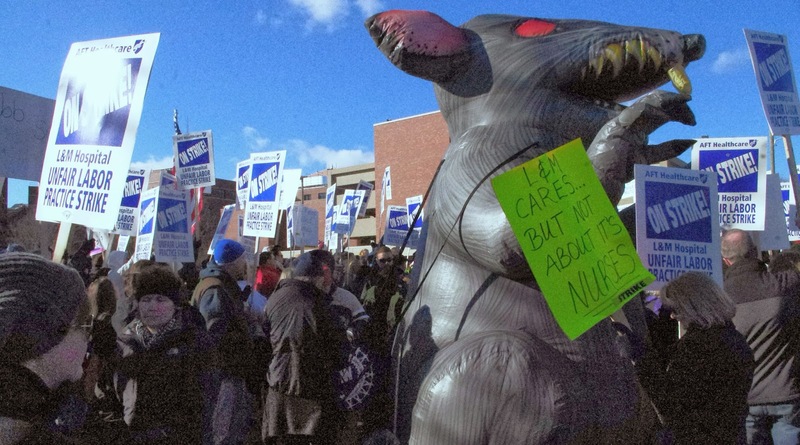 UPDATE: Lawrence & Memorial management agreed to start re-start bargaining negotiations with the union TONIGHT, instead of waiting until next Tuesday, as management had originally planned. This will be with the federal negotiator helping to keep the talks on track. At this afternoon's rally, Senator Richard Blumenthal (D-CT) called for the talks to being again, and so they are. Several hundred striking nurses and technicians at Lawrence & Memorial Hospital rallied outside the hospital at noon today, supported by a broad range of supporters from other unions and community organizations, families, friends, neighbors and former patients. I was glad to see so many Building Trades workers out there (and glad I wore my Building Trades hat). The two AFT-Connecticut unions that represent more than 800 L&M workers plan to wrap up the four-day strike over hospital management's unfair labor practices tomorrow night at 11 PM. The buzz in the audience is that management is asking the strikebreakers (a.k.a. scabs) if they want to stay on beyond Saturday in case management decides to carry out its threatened lock out of its workers. You are cordially invited to join RI Progressive Democrats in honoring two of the hardest working progressive Democrats for Rhode Island! UPDATE: We closed out November by setting a new monthly record of 57,929 page views. That works out to an average or 1,931 a day. At Progressive Charlestown, we have a lot to be thankful for – mainly that we've been able to come this far with a project that Tom Ferrio and I took on pretty much as a way to blow off tension and have some fun. That was our original plan in January 2009. We didn't expect to run more than an occasional article – maybe one or two a week – and figured we’d be lucky if more than a couple dozen or so people read what we wrote. 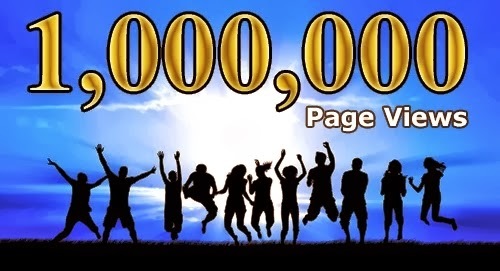 Three and a half years later, we have hit one million page-views. A page-views is counted every time a reader clicks on an individual article to read it. That's different than a “hit” when someone happens to click on our website homepage. Generally, it takes about ten "hits" before someone clicks on an individual article to create a "page-views." We now average 1,900 page-views a day. Back in 2009, contrary to what CCA Party pundit Mikey Chambers would have you believe, we formed Progressive Charlestown in spite of and as an alternative to the Charlestown Democratic Town Committee, of which Tom and I remain proud, loyal members. If it glows, don't eat it. EDITOR'S NOTE: This is Regina's second account in Progressive Charlestown of a near-death experience. Click here to see the last time. Will the third time be the charm? Here's how it happened: one Saturday morning I'm canoeing up the Delaware river along the idyllic Delaware Water Gap. A week later, I'm tethered to an IV in the emergency room at South County Hospital. See the original Thanksgiving, updated, by clicking here. Democrats can finally win back the House. Image by Elisabeth Parker for Addicting Info. We liberals have despaired for decades, as we’ve watched the GOP take over the country and steer it further and further to the right. 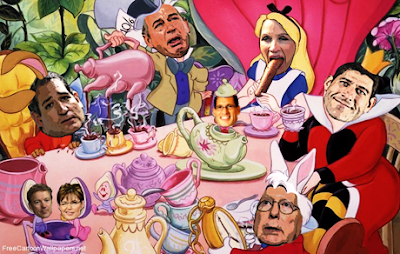 When the Tea Party took over the Republican Party, things started getting even worse. But, as some wise old sage once explained, sometimes things have to get worse before they can start getting better. The Tea Party has gotten too cocky for its own good. When Tea Party candidates helped the GOP take over the House in 2010, the extreme Right got cocky and began showing its true colors. It grew more and more clear that the Tea Party was no “grassroots” movement, but rather a tool of nasty rich folks like the Koch Brothers. Conservatives have never been a friend to the American people, nor have they ever acted in our interests. But, for four decades, they have deftly used under-the-radar race baiting, winning words, and Ronald Reagan’s charm to appeal to voters. Now, the Tea Party no longer even bothers with pays lip service to core American values like freedom, fairness, and a decent shot at upward mobility. Now that voters can finally see the Tea Party for what it really is, the tide has begun to turn. Here are 10 reasons for us to thank the Tea Party. Lots of picketers in the pouring rain, lots of solidarity and public support, management agrees to resume negotiations, and the union hands out turkey baskets. More than 300 registered nurses and LPNs signed in to walk the picket line at Lawrence & Memorial Hospital in some pretty grim weather. Others simply showed up, grabbed a sign and walked and changed in the rain. Supporters, allied groups, family, former patients, community leaders and students joined in, as did other AFT union members from Danbury Hospital and Connecticut Technical High Schools. A delegation from the UNAP members at Westerly Hospital came over to support their sisters and brothers at L&M, which of course now owns Westerly Hospital, too. A delegation of AFSCME members from the New London Public Works Department also joined in. The choice is ours. Protect it. It was a choice. And the fact that they had a choice is what brought them here in first place. Having choice is what made them…us. The Puritans who settled in Massachusetts came here because they wanted to have the choice of how they worshiped. But after the Puritans settled in Massachusetts they began to create rules limiting the choices of their followers. At that point Roger Williams, the founder of Rhode Island, took his followers to a place where their choices were still up to them. They uprooted their lives to preserve their right to personal choice. Click here and be thankful. An array of facts and trivia about American Thanksgiving. did you know that the very first feast was in Florida? Ah, Thanksgiving… turkey, cranberries, pumpkin pie. Football, parades and feasting with family. Thanksgiving is a uniquely American holiday. Well, sort of. Many myths have sprung up around the holiday, and many traditions have, too. It’s time to take a look at the history and traditions of American Thanksgiving — our neighbors to the north had theirs last month. If you happen to have a job in a chain store, don't even think about taking a holiday. Here come Thanksgiving, Hanukkah, and Christmas. It’s a month-long season of friends and family, spiritual reflection, and time to decompress from our usual helter-skelter lives, right? Good lord, shout the corporate bosses, are you nuts? Do you think America is some kind of Norman Rockwell fantasyland? This is the season of mass consumerism, bucko. 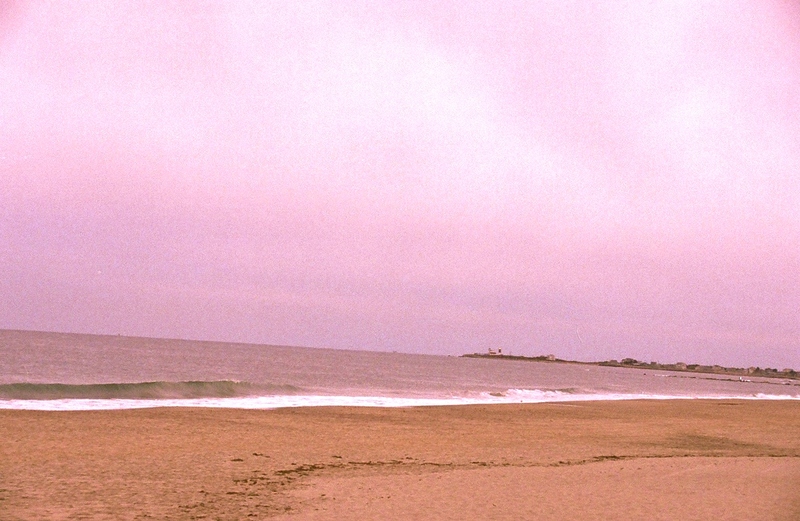 So lift your tail-end out of that La-Z-Boy and hit the malls — pronto. And if you happen to have a job in a chain store, don’t even think about taking a holiday — or you won’t have a job the next day. Let us now praise the one God we all serve: mammon. Conversations about energy use in the U.S. often revolve around expanding domestic production or spurring renewables. It's easy to forget another significant piece of the puzzle — energy efficiency. In its 2013 scorecard, the American Council for an Energy-Efficient Economy (ACEEE) ranks the most energy-efficient states based on policy and program efforts that improve efficiency in homes, businesses, industries and transportation systems. The annual scorecard includes programs and initiatives maintained in ACEEE's database of state energy efficiency policy, which includes information from state offices, public utilities, nonprofit advocacy organizations, energy consultants, federal officials and the private sector. Read on to see how your state fared in 2013. PROVIDENCE - The Department of Environmental Management announces the publication of Inland Fishes of Rhode Island, a beautiful book depicting the more than 70 species of fish found in Rhode Island's ponds, streams and rivers. This book is a definitive scientific work and the first of its kind for RI freshwater fish species. It was written by biologist Alan D. Libby and illustrated by Robert Jon Golder. The 287-page book contains descriptions and illustrations of each species of fish found in Rhode Island's freshwaters during surveys conducted by DEM's Division of Fish and Wildlife from 1993 to 2012. Detailed characteristics used to identify each species are presented, in addition to habitat descriptions, life history information, and a distribution map for each species. Scientific illustrations of each fish in color and black and white aid with identification. New London - Lawrence & Memorial Corporation (LMC) representatives today walked away from negotiations with nurses, caregivers and healthcare workers at Lawrence & Memorial (L&M) Hospital, setting in motion a strike set to begin tomorrow. Talks broke down when the corporation's representatives refused to keep working toward mutual resolution of issues impacting patient care sought by the unions representing approximately 800 of the hospital's employees. Registered nurses (RNs), licensed practical nurses (LPNs), and healthcare technicians will walk off the job at 6:00AM tomorrow in the first strike at L&M in the hospital's 101-year history. Genetic engineers just found a new way to put farmers in poor countries out of business. Isn't it so inspiring to see global corporate giants crush small farmers, stomp on nature, circumvent our laws by hook or crook, and deceive and gouge consumers? Huh? Yes, that oxymoron means “fake life.” But the term is also moronic, for it’s the name of a crude and costly attempt by high-tech alchemists at such corporate powers as BASF and Cargill to genetically modify microorganisms to produce something wholly unnecessary: artificial flavorings and fragrances. PROVIDENCE - The Department of Environmental Management announces that due to the Thanksgiving holiday, it has extended the deadline for the submission of recreation acquisition and development grants to 4 p.m. on Friday, December 6. A total of $5 million is available this year under three grant programs. Funding for this round of projects comes from the Rhode Island Open Space Bond Authorization of 2012. Our fast-growing, heavy-breasted birds can't even mate anymore. But it’s the turkey that takes the cake. Not that most of us would know that, since the last time most of us met a turkey was in a sandwich, not on a farm. Despite the foreign-sounding name, turkey is a uniquely American food. American as in The Americas, and not just the United States. The large fowl was first domesticated in Mexico, after all, not Turkey. Before those domesticated turkeys reached the iconic site of the first Thanksgiving, they were first imported to Europe, and then brought back to New England. Prior to that, the land we now call our country was only home to wild turkeys. Not that the Pilgrims didn’t eat them whenever they could catch one. The recall election in Exeter, scheduled for December 14th, is being pushed through mostly by out-of-town gun rights zealots intent on punishing the Exeter Town Council for trying to enact a minor change in the law regarding the concealed weapon permit system. 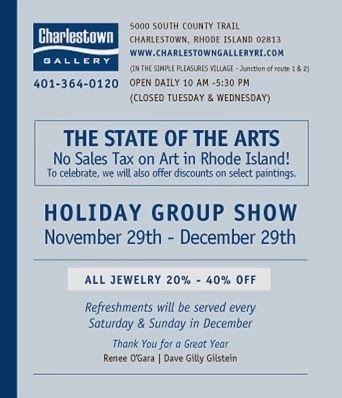 Rhode Island State Representative Doreen Costa has been involved in this issue from the beginning. Even though she is not a resident of Exeter, she does represent a small section of the town (the corner over by the Yawgoo Ski Area) in the Rhode Island General Assembly. 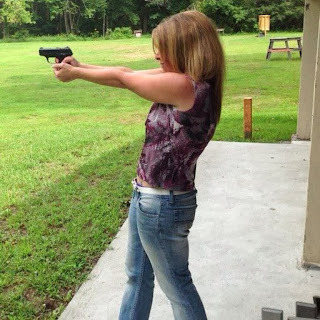 What the Exeter Town Council attempted to do was change the law in Rhode Island so that the Exeter Town Clerk would no longer be responsible for issuing concealed weapon permits. In most cities and towns residents can go either to their police chiefs or to the state Attorney General, but Exeter has no police force. So by state law, the duty of issuing permits falls to the Town Clerk, a person with no law enforcement training. This is my fourth piece for Progressive Charlestown about life under the shadow of the Copar Quarries. I decided to write this article after seeing the testimony of Christina Holden Shea in the Westerly Sun and Progressive Charlestown about the poisoning of her well. I live about a third of a mile from Copar Quarry and want to say that everything Tina wrote is not only true, it is what I and my neighbors on Niantic Highway experience as well. Every detail is exactly how it is for us, every single day. There have been damages to homes all over the area, but we in Charlestown have the added burden of no town water. These blasts take place in ancient granite formed millions of years ago. It is layered, and running between the layers are rifts where the water flows. This is where we drill to get our water. Families who live near or share waterways with large corporate farms or concentrated animal feeding operations (CAFOs) have a critical need to know some basic facts about these operations. The public's right to this information, however, could be stripped away by the Farm Bill currently under debate in Congress. 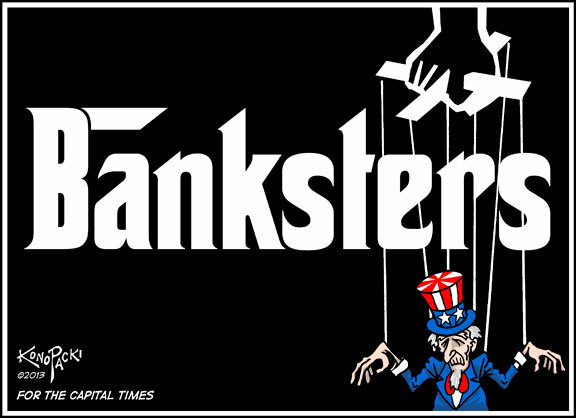 By letting JPMorgan Chase deduct $4 billion from its taxes to pay $13 billion in penalties for its misdeeds, the government is putting the "con" in unconscionable. Alas, while the FBI, IRS, and the judicial establishment went all out to nail the bank defrauder, they allow big-time Wall Street crooks who defraud us to escape prosecution, much less jail. STATE HOUSE – Three Rhode Island state legislators were honored today by the Rhode Island Farm Bureau during the organization’s 60th annual awards event at the West Valley Inn. Sen. Walter S. Felag Jr. (D-Dist. 10, Warren, Bristol, Tiverton) and Rep. Donna M. Walsh (D-Dist. 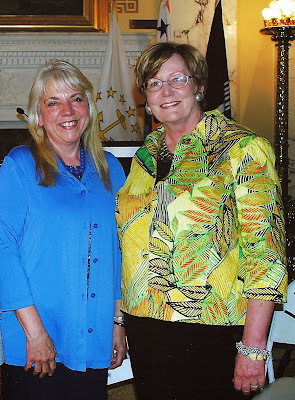 36, Charlestown, New Shoreham, South Kingstown, Westerly) were the recipients of a new award, the “Navigator” award, presented by the Farm Bureau. The award was created to honor state legislators and/or officials who have been instrumental in helping the organization deal with and address concerns about government regulations and procedures. Senator Felag and Representative Walsh were the Senate and House sponsors of legislation that was incorporated into the state budget, requiring the state to assess inherited working farmland at its use value, not its higher cash value, for inheritance tax purposes. 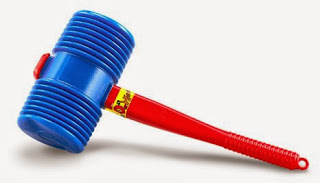 Future Former Town Council President Tom Gentz had his toy gavel handed to him on a tarnished silver spoon when Former Future Town Council President Dan Slattery hosed off his copy of Charlestown’s Home Rule Charter to discover that town commissions should actually play a role in town government. In the largest study of its kind, people who ate a daily handful of nuts were 20 percent less likely to die from any cause over a 30-year period than were those who didn't consume nuts, say scientists from Dana-Farber Cancer Institute, Brigham and Women's Hospital, and the Harvard School of Public Health. Their report, published in the New England Journal of Medicine, contains further good news. The regular nut-eaters were found to be more slender than those who didn't eat nuts, a finding that should alleviate the widespread worry that eating a lot of nuts will lead to overweight. "The most obvious benefit was a reduction of 29 percent in deaths from heart disease -- the major killer of people in America," said Charles S. Fuchs, MD, MPH, director of the Gastrointestinal Cancer Center at Dana-Farber, who is the senior author of the report. "But we also saw a significant reduction -- 11 percent -- in the risk of dying from cancer," added Fuchs, who is also affiliated with the Channing Division of Network Medicine at Brigham and Women's. New London - Bedside patient caregivers are responding to their employer's attempts to intimidate the workforce into accepting proposals that fail to protect community access to healthcare services at Lawrence & Memorial (L&M) Hospital. The CEO of Lawrence & Memorial Corporation (LMC), the acute care facility's operator, on Friday threatened to lockout employees in the event of a strike, harming efforts to reach a mutual settlement. The CEO also announced indefinite plans to rely on replacement workers to treat patients, raising questions about management's commitment to the hospital's reputation for delivering high quality care. Who will progressives back for Governor?